When you file bankruptcy in Jacksonville, Florida, a "Meeting of Creditors" will be scheduled. After a Chapter 7 or Chapter 13 Bankruptcy has been filed you must have a meeting of the creditors. In the Jacksonville area, attorneys more commonly refer to this meeting as the "341 Meeting" because it is a requirement of section 341 of the U.S. Bankruptcy Code. The 341 Meeting is held roughly 30 days after you file a bankruptcy case. The Jacksonville Bankruptcy Trustee, your bankruptcy lawyer and any creditor may attend the 341 Meeting. What is the Purpose of the 341 Meeting? The original purpose of the 341 Meeting was to give your creditors the opportunity to examine your assets, voice any objections, and review or comment on your ability to discharge your debts. Another way to look a the 341 Meeting is to look at it as an opportunity for your creditor to ask you questions about your bankruptcy petition. Your creditor's goal is to find assets your Trustee can confiscate or sell the assets. Any money your Trustee recovers from the sale of your assets is then distributed to your creditors to pay the debt you owe them in full or at least in part. Do Creditors Attend the 341 Meeting? In the Jacksonville Bankruptcy Division, it is rare for a creditor to attend one of these meetings. In all actuality, the 341 Meeting is simply an opportunity for your Trustee to inquire about questions they may have about your bankruptcy petition and the supporting financial documents that you provided to the court and trustee in support of your bankruptcy petition. In Jacksonville, the Trustee will complete his or her due diligence to order to ensure the bankruptcy court that you did not accidently omit any assets that could be used to pay off your debts. What Should I Expect at the 341 Meeting? This meeting intimates many clients. If you are represented by an experienced Jacksonville Bankruptcy Attorney, they can help you prepare for the 341 meeting and things should go very smoothly. It is important to keep in mind that this is primarily a meeting between your Trustee and you, and it is not an interrogation. Also, the Judge will not be present at this meeting, and the meeting is not held in a courtroom in the Jacksonville Bankruptcy Division. In fact, if you file a Chapter 7 Bankruptcy, and there is no objection filed by one of your creditors or the Trustee you may not ever have to go in front of the Judge or into a courtroom. The meeting begins with the Trustee placing you under oath and then asking you a sequence of preset questions. As long as you provided your Trustee with the documents he or she requested before your phone interview and have been truthful, the 341 Meeting should not last any longer than five minutes. What Should I Expect After the 341 Meeting? After the 341 Meeting in Jacksonville, you will either be provided with a list of additional information the Trustee needs or you will find out in a couple of weeks whether the Trustee needs any additional information from you. If the Trustee does not need any additional information from you, the only thing left for you to do is to take a second credit counseling course and then wait for your discharge. You should receive your discharge around 120 days from the date you filed your bankruptcy petition. If your Trustee requests additional information from you, your Jacksonville Bankruptcy Attorney will work with you to provide that information to the Trustee. At times it may be necessary to clarify any statements or provide additional documents to the Trustee. 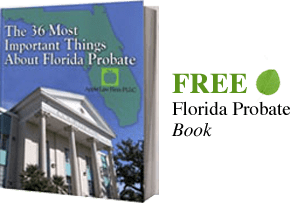 If the trustee believes you have assets above the amount allowed under Florida’s Bankruptcy Exemptions, you will also work with your Trustee and Jacksonville Bankruptcy Attorney after the 341 Meeting. Your Jacksonville Bankruptcy Attorney will help you to negotiate the actual amount your assets are above the amount allowed under Florida’s Bankruptcy Exemptions as well as a payment plan or a turnover plan if needed. Even if you have already filed your bankruptcy yourself, it is not too late to hire a Jacksonville Bankruptcy Attorney to help you prepare for your 341 meeting. An experienced bankruptcy attorney can review your petition and help you be prepared. Contact the Law Office of David M. Goldman PLLC today.